Irrfan Khan, who was battling cancer for a year, returned to India upon completion of his treatment on 3 April. The actor wrote a gratitude note on Twitter, thanking his fans for immense love and support. Earlier this month, filmmaker Tigmanshu Dhulia revealed that Irrfan had successfully recovered after his treatment in the UK, and is perfectly fine to begin shooting for Hindi Medium's sequel. Mirror further revealed that the first schedule of the film will be carried out in London. “Irrfan and Radhika started prep a while ago and are looking forward to kick off the first schedule in Rajasthan. It’s an important portion after which they will take off for the international schedule. It was initially planned to be set in the US but will now take place in London for which the team recently conducted a recce," stated the report. 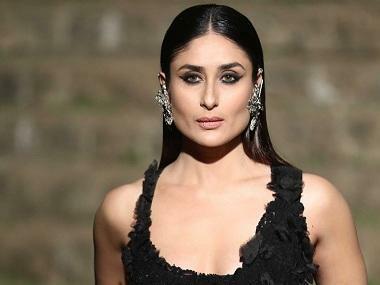 It was earlier reported that Kareena Kapoor Khan was roped in to play a cop in Hindi Medium 2 and will soon be join the cast after wrapping up Akshay Kumar-Diljit Dosanjh starrer Good News. Saket Chaudhary's Hindi Medium(2017), starred Irrfan and Pakistani actress Saba Qamar in pivotal roles. The film was a satire based on India's education system. An official confirmation regarding this development is yet to be received from the producers' end.